My love of antique roses…especially the 19th century Bourbons Madame Ernest Calvat, Madame Isaac Perrier, Souvenir de Malmaison …which preserve the voluptuous scent and shape of 18th century roses with improved re-bloom characteristics….is hardly content with the few roses a mild Northern California winter offers from time to time. So while I’ve been in a “less is more” mode (with blogging, as well!) and editing out the “de trop” excesses in my life…a few treasures make it over my self imposed restraints…and they invariably evoke my love of gardening! 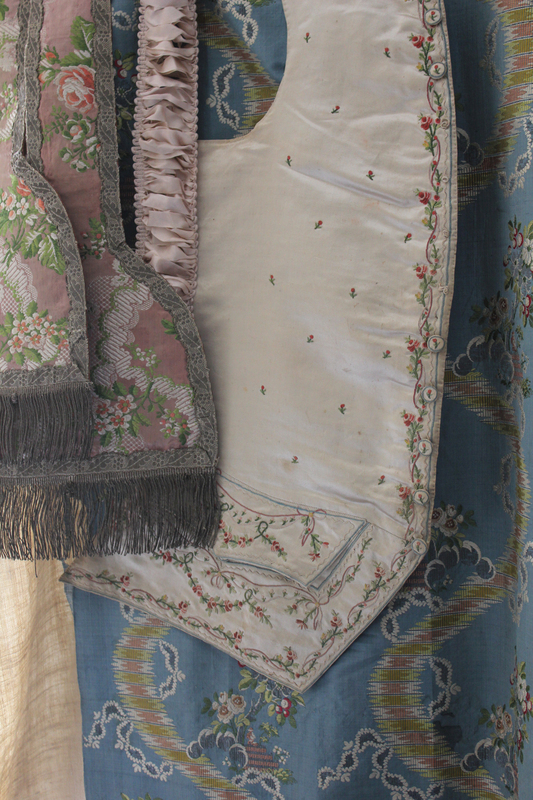 French embroidered satin waistcoat panels. More at the MET Costume Institute here. 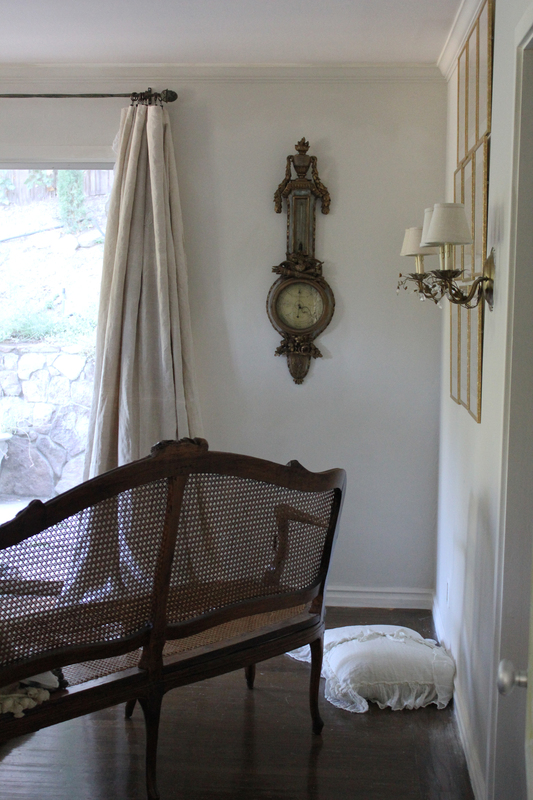 A close up for all my textile crazy readers….that’s one of Wendy Lewis’s beautiful antique woven linens in the background. 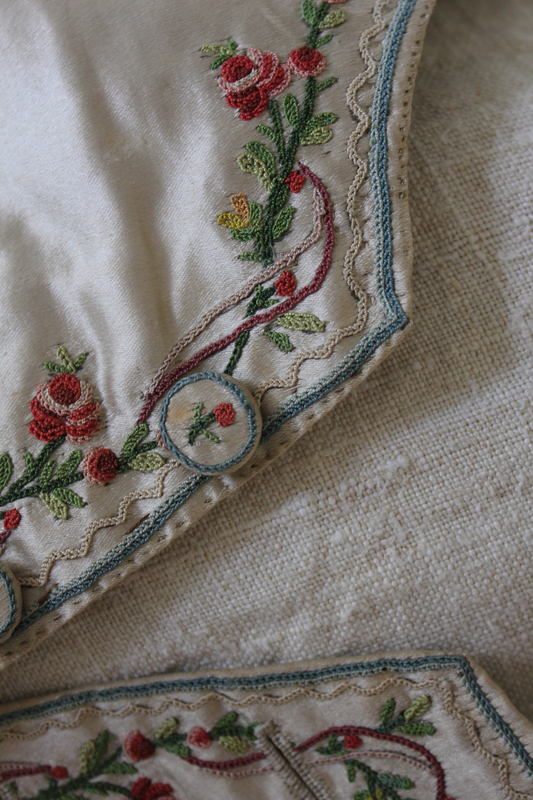 As well as the exquisite embroidery, I love the tiny hand stitching at the edges. 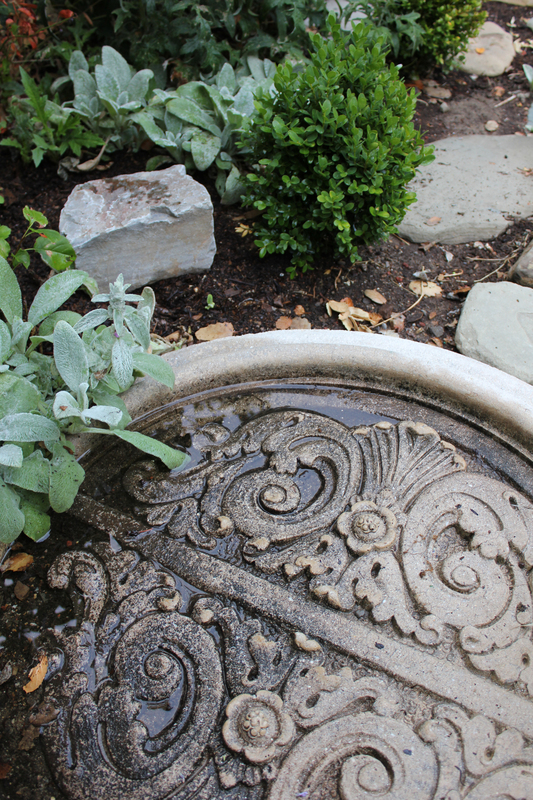 Though a green thumb at gardening…I’m all thumbs at this gentle art! I suppose you can see an ongoing theme in my textile collecting? 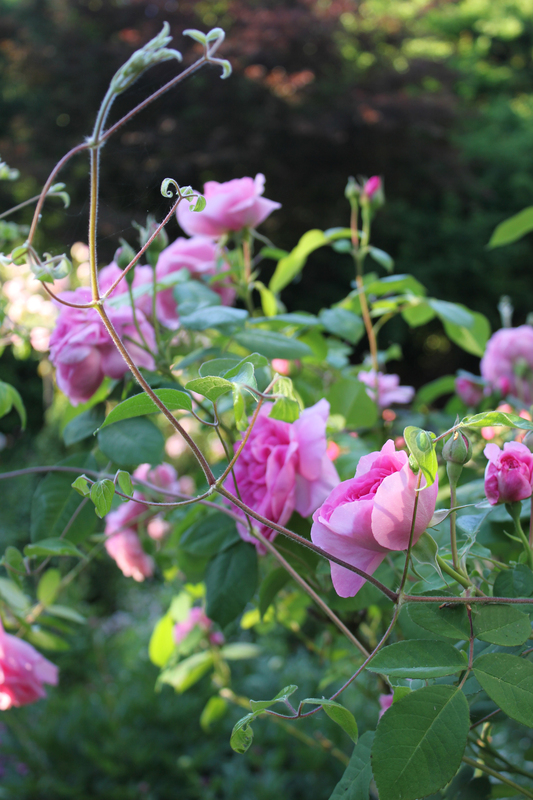 Madame Issac Perrier…if you have just enough space and sun for ONE old rose….it must be this one. Simply the most incredible scent. And the color is a lipstick bright cerise. Year’s ago I saw this landscaped in a row with Madame Calvat and Souvenir de Malmaison and tall Italian blue cypresses at Garden Valley Ranch which has a wonderful garden worth touring if you’re ever in Petaluma. 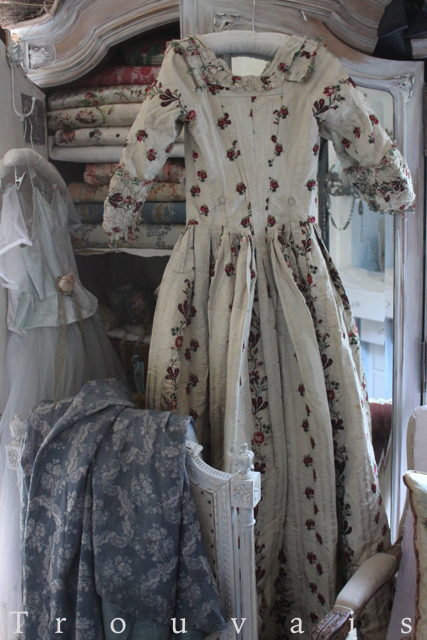 Two small 18th century silks…the top a hand stitched scrap from a once grand gown …the bottom a hand loomed brocade that I just sort of imagined into this shape. 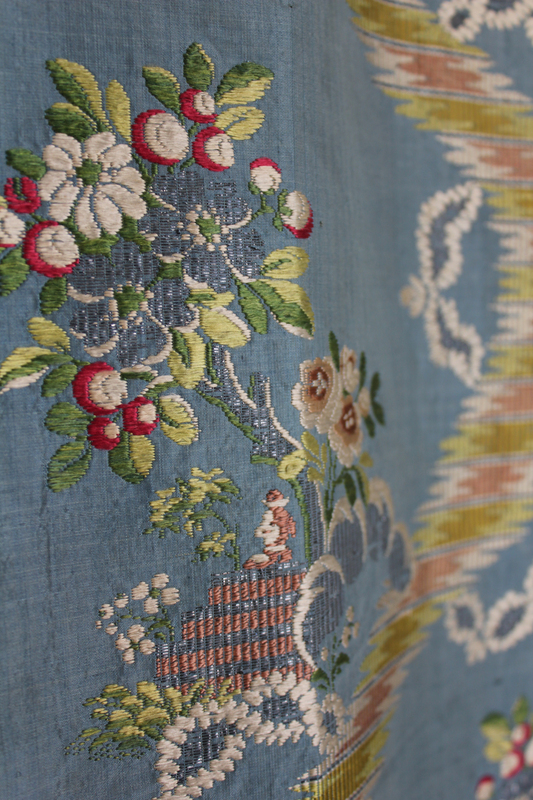 Antique textiles are so evocative of the world they come from…sketching an image of what that world looked like…what frivolity excited people at the time. 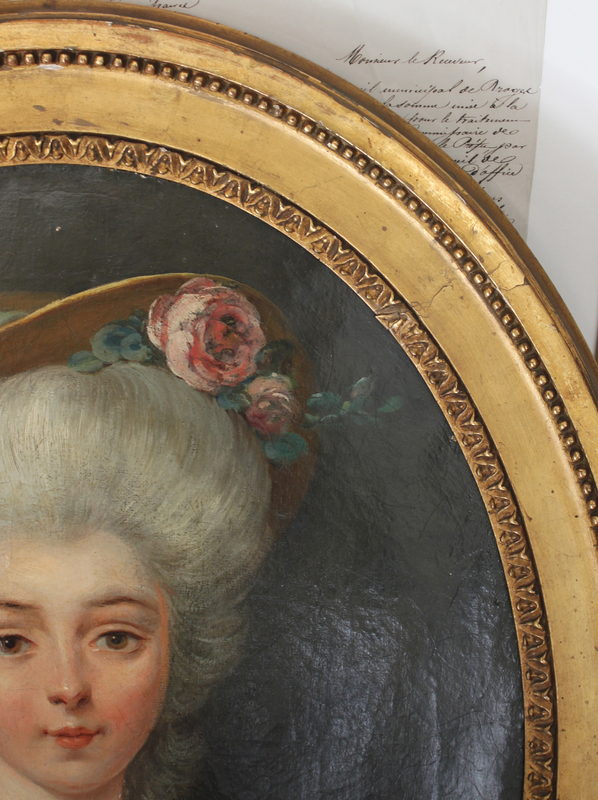 That intersect at my fingertips with the 18th century world never fails to amaze me. 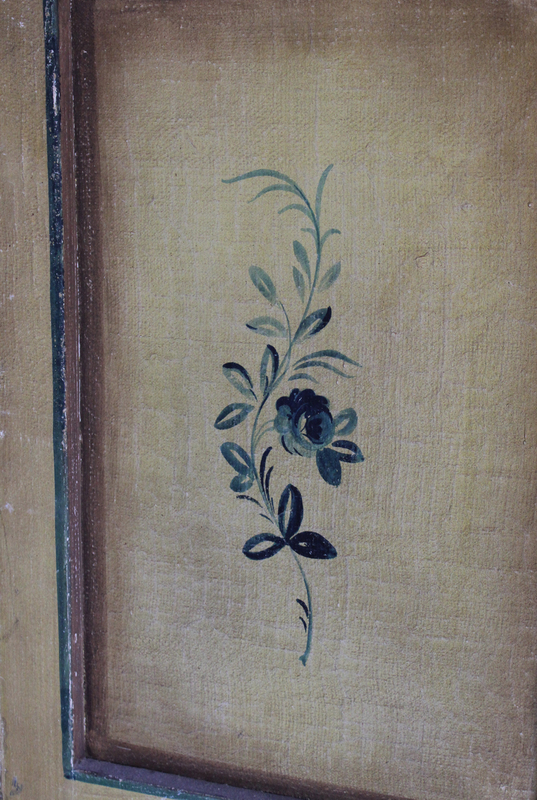 A recent flea market find…roses and garlands were hand painted over jute and plaster on both sides of this short three panel screen. More on this later. I find I have this tendency to crave authenticity…the antithesis to the current propensity for flea market one-of-a-kind finds to be mass marketed ad nauseum. 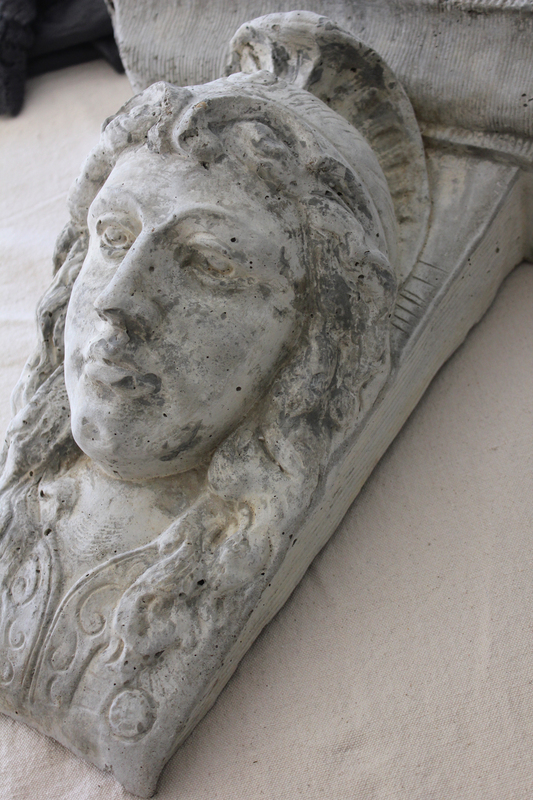 One of my favorite designers is San Francisco designer Stephen Shubel….so, like a groupie…I awaited his One King’s Lane tag sale and bought this ENORMOUSLY heavy vintage cast stone piece. 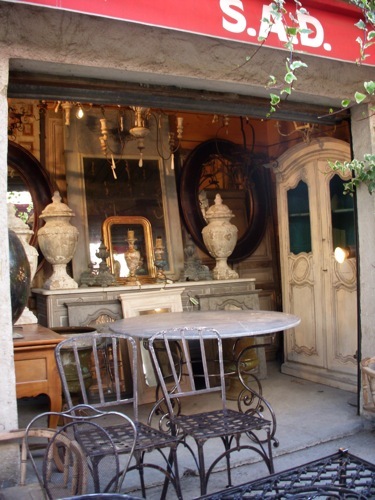 Which leads me to one last thing…..
Paris flea market photo from French Kissed…. If you ever wanted to skip the tag sales and go direct to Paris, my favorite blog buddy Jermaine of French Kissed has organized two Paris shopping tours this May. They are small enough groups to squeeze the best out of Paris…but perhaps large enough to share a shipping pallet home?? She’s letting you hit the Louvre and Notre Dame on your own time, forsaking cultural for pure wicked shopping. Anyone that knows Jermaine knows that she has fabulous taste and an innate ability to score “the deal”. About that French phrase “de trop”…too much…excessive. Well, Jermaine is able to see through the flotsam and jetsam to find the pearls. Included on the tour is her lovely daughter Haleigh of Making Magique (formally Bardot in Blue) and their French friend Serge (whose ear I would LOVE to bend on French auction houses). Jermaine splits her time between her design work in Santa Barbara and routine visits to her two beautiful daughters in New York and Paris. I adore her. So if you ever dreamed of visiting Paris with someone else to take care of all the details and give you a curated view…check out all the details here. And, again, Happy Valentine’s Day! Many thanks for the glorious pictures and Happy Valentine’s Day! Such a beautiful post. A beautiful tribute to this day! I grow all the roses you mention, their perfume is simply intoxicating, it is so divine and makes up for their short blooming season. We are your followers and you have a direct link to our blog. 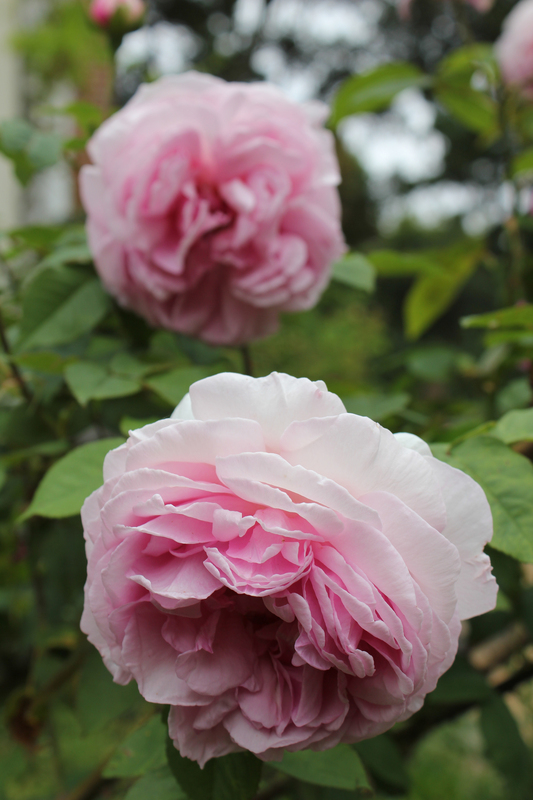 I love the old Bourbon roses, my favorite is ‘Souvenir de la Malmaison’. I have a rose bush in my garden and flowers every year as a small miracle of flavor and color. Just “found” 🙂 your blog a bit ago, and started a subscription! You’ve created a lovely site, with some truly beautiful images and, admittedly, I am one of those “textile-crazy readers” you mentioned (fabric reps and new collections are always my favorite appointments :)…so thank you for all of the yummy embroideries! Keep up the stunning work! Thank you for sharing your roses, such a beautiful post. How lovely to see you ‘back’ Trish, that waistcoat detail is exquisite, and of course we could never tire of your roses! Your garden always gives me the inspiration needed to do the extra work it needs, especially after using “winter” as an excuse to play indoors. This mild winter and my garden a little confused and I fully expect roses to bloom in another month or so, which is a bit early. 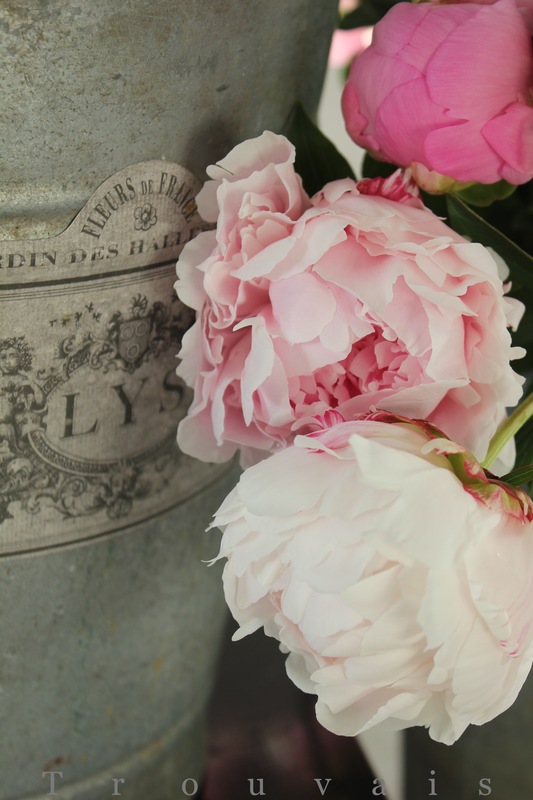 Trish, I so admire the textiles and can see how your love of roses and the garden translate into your blogs imagery…truly beautiful post for today, or any day. And in my breast a dove…. This shall be all thine. What a beautiful post! I’ll check out that trip to Paris. Thanks! 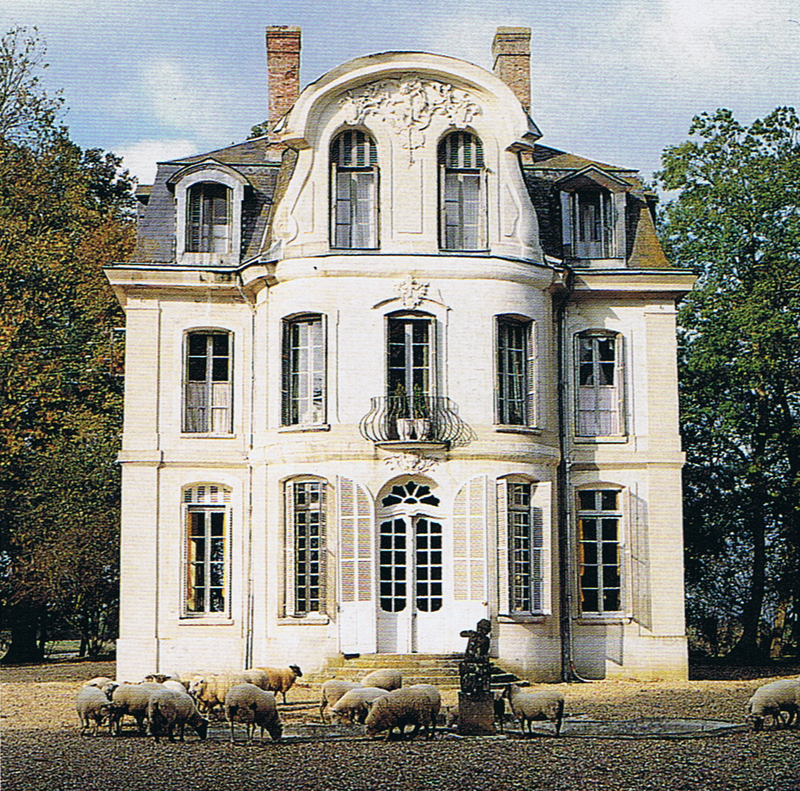 People wonder why I’m an antique textile dealer….once biten it’s pure love! Nice to see you about Trish. Happy Valentine’s Day! Great post! Beautiful one today! I can almost smell your roses. And they are a.mazing! 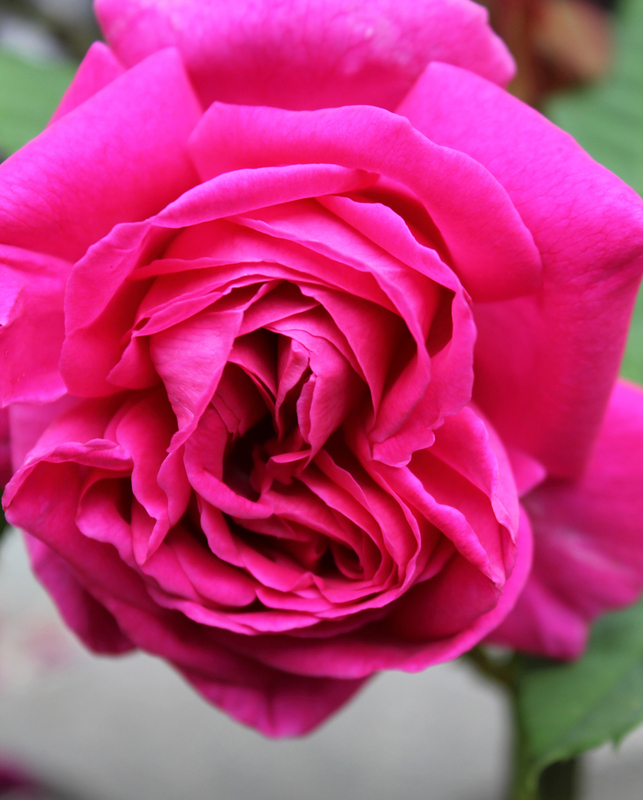 Nothing smells as deep and luscious as a garden rose and Garden Valley’s are the best. Nice to see you surface once in a while. I understand what you mean about laying low. I’ve been in a de-clutter mode and shocked the family with my clean desk top. Actually, myself too, lol. 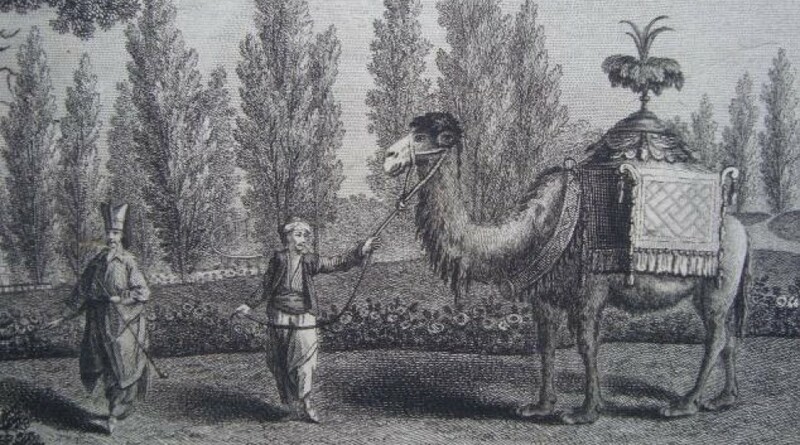 When are you coming east? Hello Trish. Your blog is far too beautiful for you to be gone for too long. Thank you – love this post! A very fine high quality painting, Trish! You’re so right – always go for authenticity . Too much of repros and copies without any quality filling up the world. 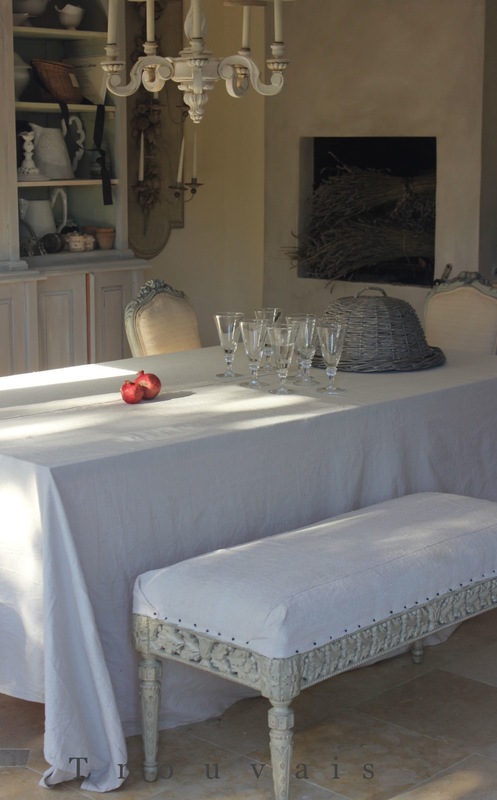 It’s the old thing – quality cannot be produced in quantity and less is always more. Trish I am in absolute awe of your textile collection! 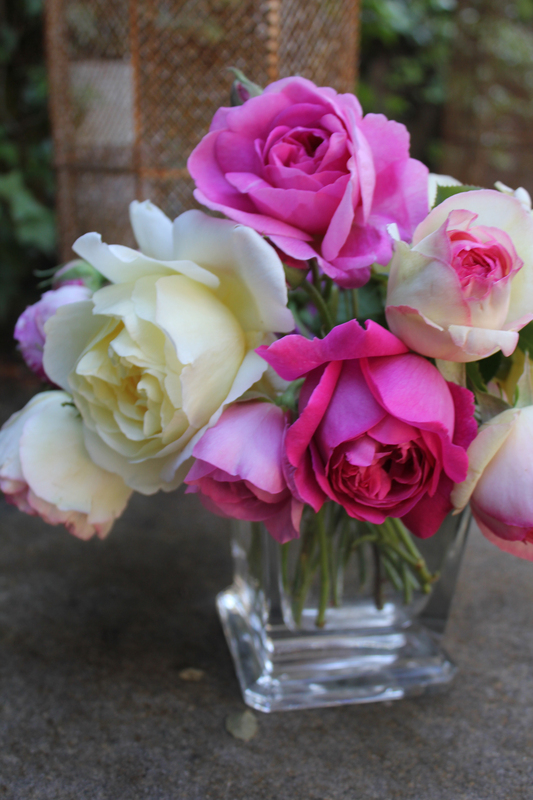 Hi Trish What gorgeous roses! 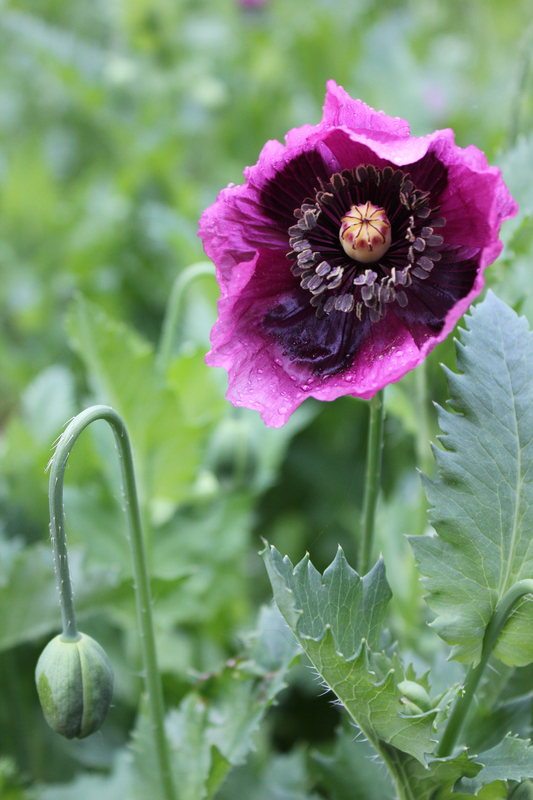 Madame Isaac P is also a favourite of mine and flourished here in the sandy soilf of Cape Town, can you belive it? So good to see your post. 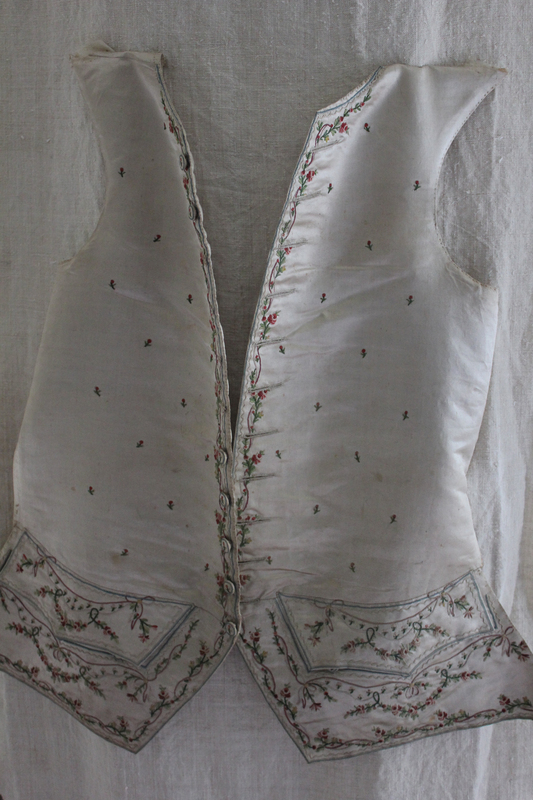 The French satin waistcoat is truly a work of art. You know how I love roses and I think that is why I happen to love Valentine’s Day…it’s the day we really seem to celebrate roses….and it’s a step closer to spring. 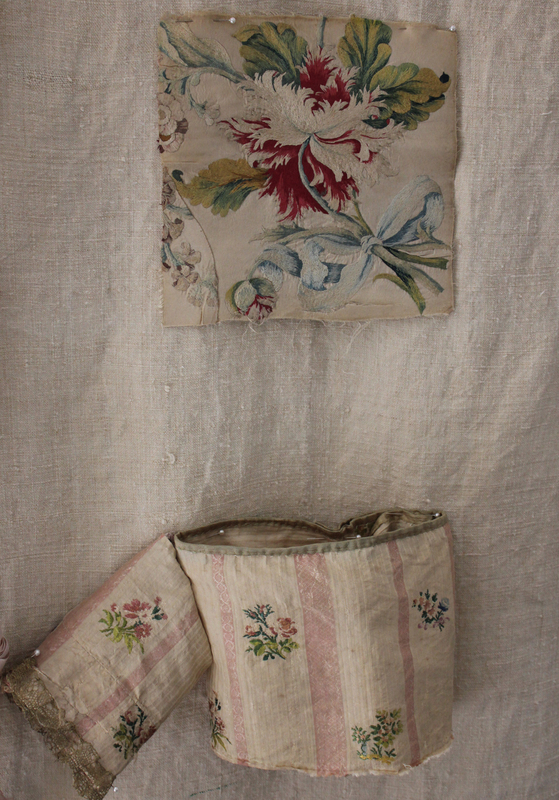 So lovely to see your textiles and roses again. We have missed you. Beautiful as always! Just found your post in my filter… wondering how many i’ve missed. enjoy this gorgeous day. It is so nice to hear from you again. My day is brightened! Thank you! I love the beauty that has inspired you to come back to your blog! I took a four month break to pour myself into my custom Christmas card designs and loved the freedom! I hope you’ve enjoyed life to the full these last couple of months! It does recharge you, doesn’t it, Linsey! That and Spring being right around the corner! Happy Valentine’s! Those textiles are. to. die. I just found your blog — fortunate me! I’ve shared with other friends. I love, love the luscious pictures. I will definitely find some of the roses for my garden also.